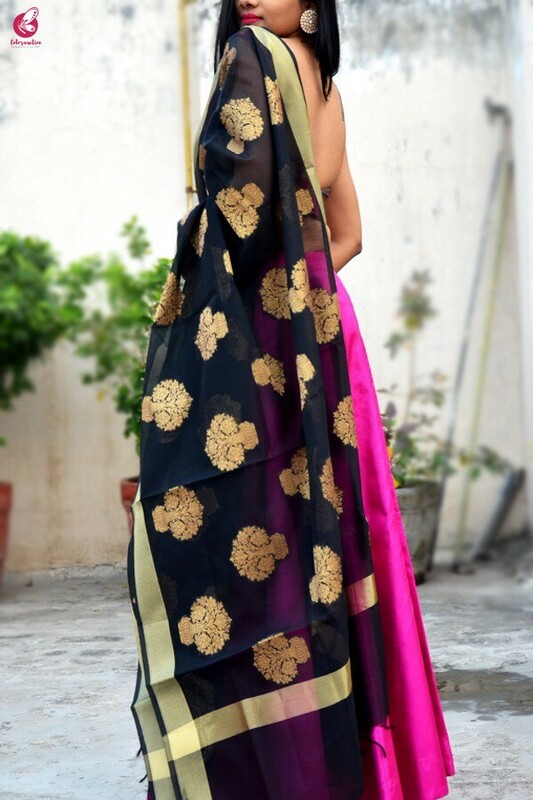 Look feminine and trendy by draping this beautiful black chanderi woven dupatta by Colorauction. 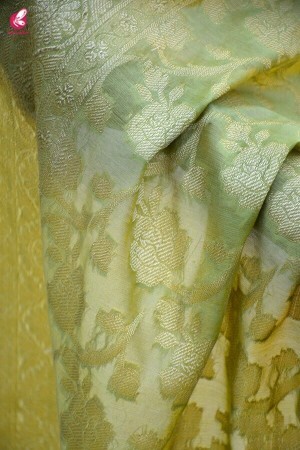 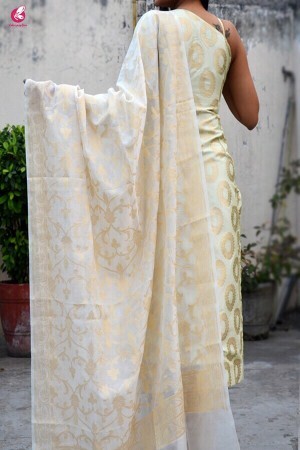 Made from chanderi this dupatta is versatile and elegant. 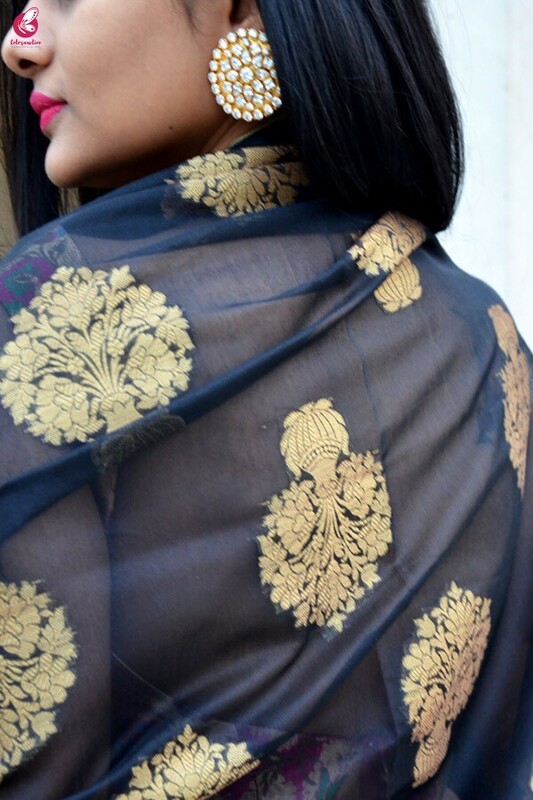 You can wrap it the way you want to look trendy. 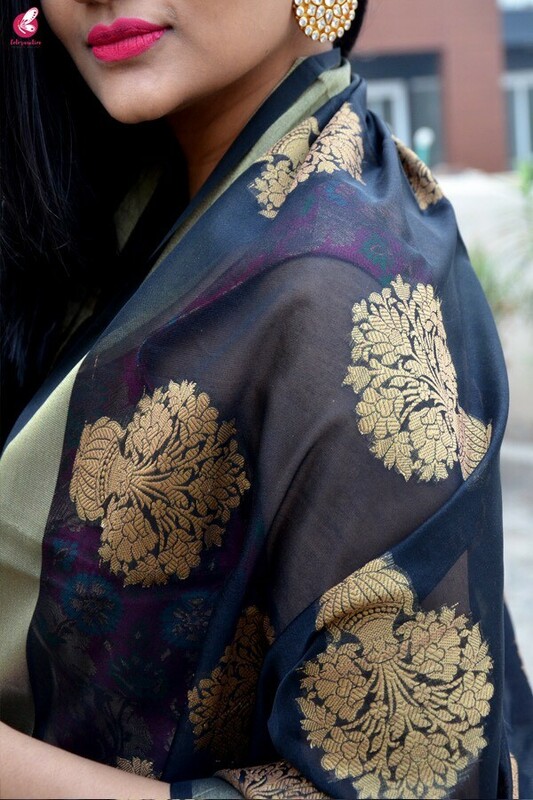 Designed to perfection this dupatta is eye catchy and will surely fetch you compliments for your rich sense of style.